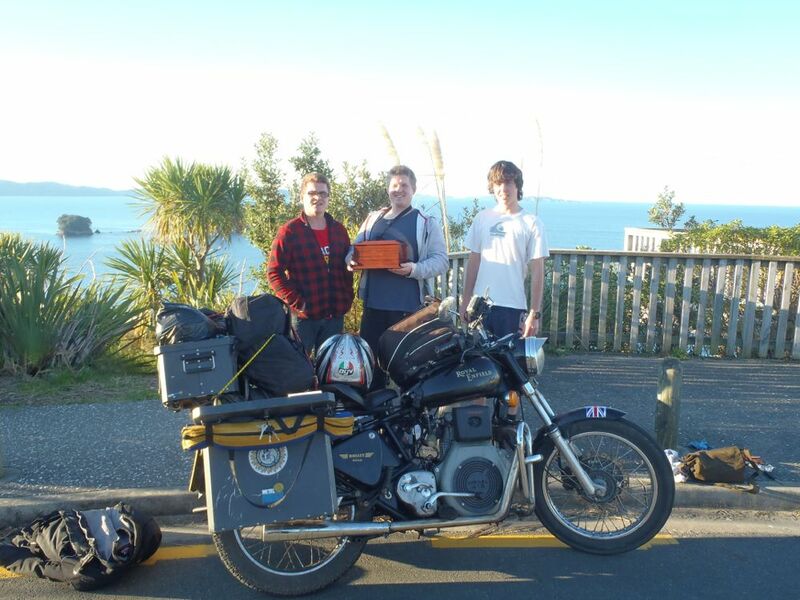 VegiBike, veg oil and diesel fueled engine, classic Royal Enfield motorbike by Harry Lyon-Smith: Wellington to Auckland...no head for heights. Wellington to Auckland...no head for heights. 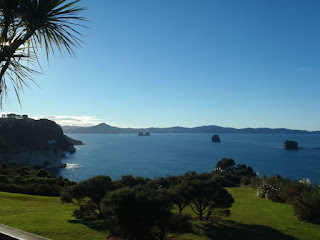 I had forgotten how much warmer the North Island feels, this must be in part a psychological phenomenon, but certainly by the time one is up around Auckland one has definitely shed a few layers. It feels like one is almost going to a new country as one gets on the ferry between the 2 islands and landing at Wellington had a light sense of homecoming for me. 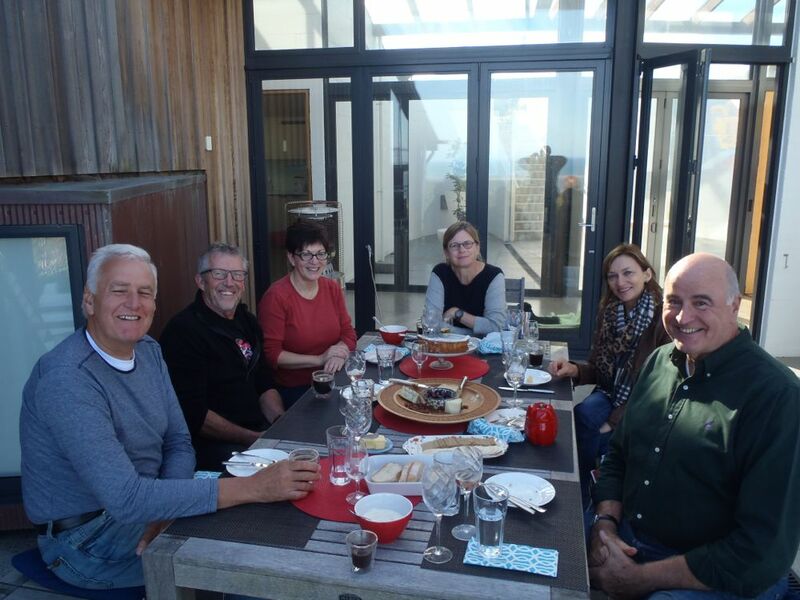 As has been a regular feature of my extraordinary time in New Zealand, I have been given names of friends of friends and family from all over the country, and it meant meeting so many generous, but above all the fun people. One of the greatest attractions of New Zealand has been 'people beauty' as much as nature's beauty. 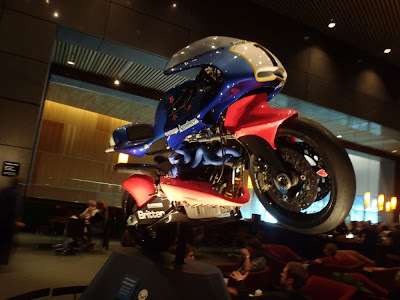 This is the famous John Britten motorcycle at the Te Papa Museum in Wellington. Completely hand built but for the tyres by a slightly maverick but brilliant engineer. This bike was the fastest in the world and one man created a machine that bested the might of the multibillion dollar motorcycle industry. Clare wrote to Anne and myself, commanding that we meet. It appears that we both are as obedient as each other and a flurry of e-mails resulted in finding myself at this extraordinary house designed by Andrew Lister, who is noted for his landmark building in Auckland, the Sky City Tower, (a sorry tale to come). These snaps cannot really do it justice, but hints at the situation. It has to be noted that the film director, James Cameron, has just acquired the property next door and he, if anyone, knows where dreams combine with reality. 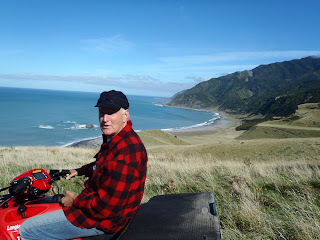 Peter saddled me on a quad bike and we rode off in tandem for a few hours up the coast on track, beach and pasture. A magical morning's entertainment. 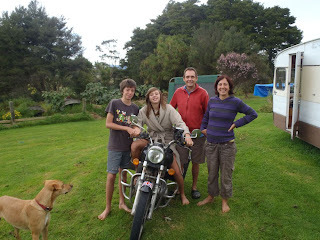 A family I had heard much about the nearly 30 years was that of Rena's. An early girlfriend who had been recruited by my mother to help keep house for the teams of Kiwi and Australian chaps that my brother employed to build farm fences in Devon. 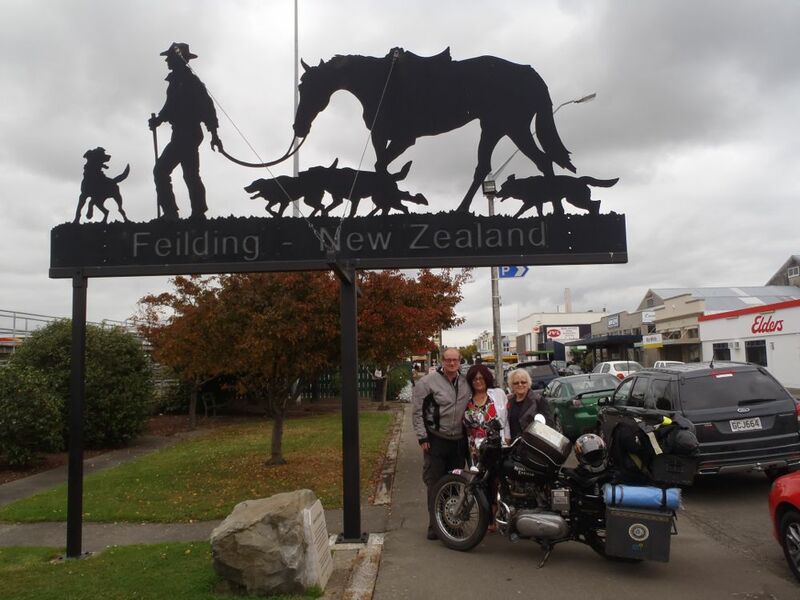 A short relationship turned into a lifelong friendship and it was fantastic to meet her smashing Mum and sister in Fielding. Rena has just now moved to New York and I am planning to skip over there anyway, to meet my American colleagues' in July, so to see her as well will be a real bonus. 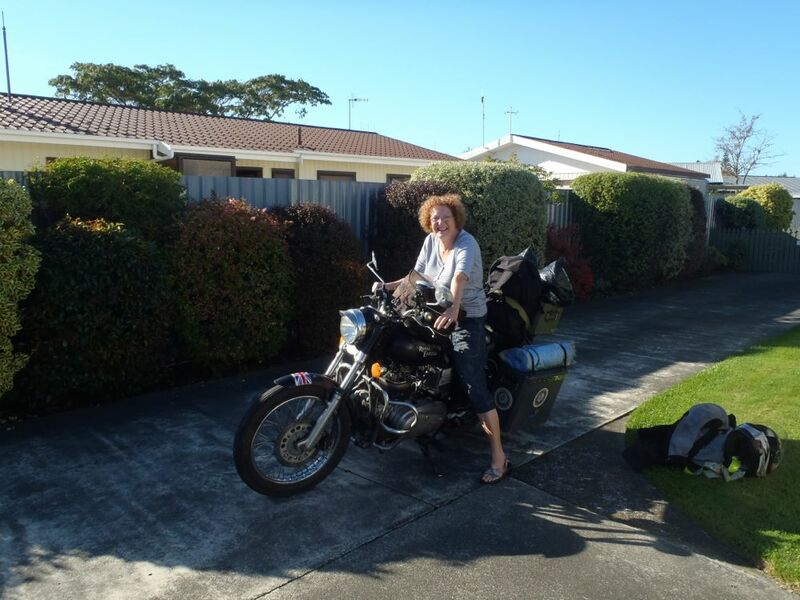 Auntie Barb of Napier. Sarah, who has managed our accounts in the office for nearly 2 decades guaranteed a warm welcome, a comfortable bed and a cork popping dinner table at her aunt's home. No money back required. She and Victor are hilarious for too short a one night stay. Trevors' bees. 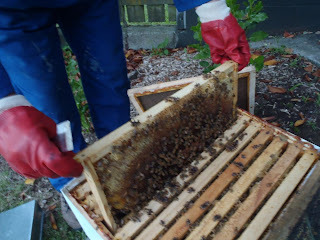 Rather embarrassingly I had taken a small offering of a honeycomb of honey for having me to stay, only to be dressed up in bee paraphernalia and shown the inner workings of his hive. It produces gallons and gallons of honey. I was very glad to get a picture at last of Trevor and Rachelle. I'm afraid that I could not resist their kind offer of hospitality yet again as I went through Hamilton on my way north. There was a tale or 2 to be told since staying there 5 weeks earlier. The truck in the background is the competition truck for their national Enduro championship holding son, Carl. 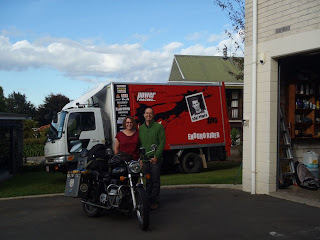 Over the course of the veggie oil saga that has, I'm afraid, dominated parts of this blog, I have corresponded with a number of sustainable fuel enthusiasts, many from the http://www.biofuelsforum.com in Australia. Not only does Peter, pictured, run his vehicles using mostly contemporary fuel, he also has a barn/garage that is the envy and intrigue of any mechanically minded person. 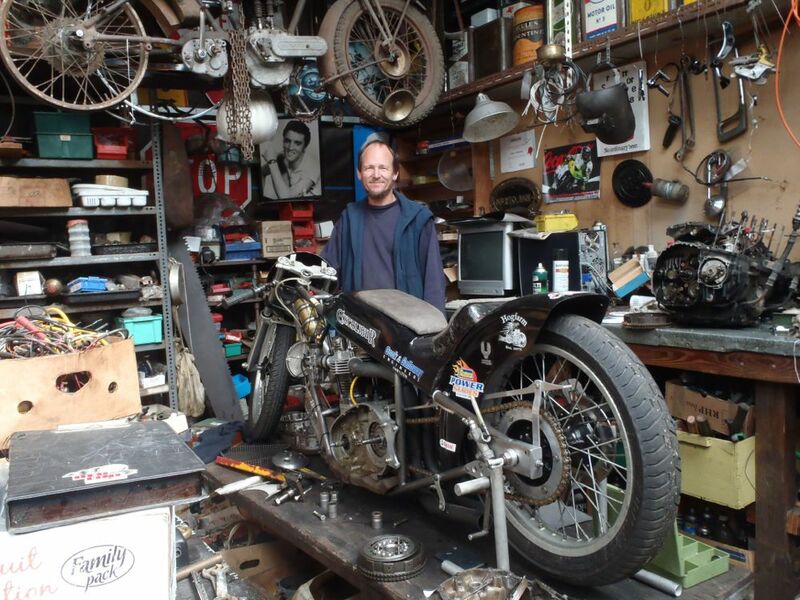 The highlight has to be his Triumph Bonneville drag bike that he has built and won many championships with. At the time of this photograph I was very much of a mind that it was either diesel or bio diesel that I would carry on the trip with. 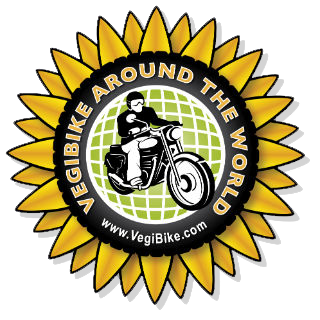 However there is a school of thought evolving that there are ways to restore the use of vegetable oil. I won't go into it here, but will experiment in Australia next week before discussing further. The worst that can happen is that I have to spend another day rebuilding the piston etc, the best that can happen is that the trip gets back on its original track. In perhaps what was one of the more extraordinary happenings on this trip, I was asked by these fellows if I had a toolkit, "of course yes, but what was it? 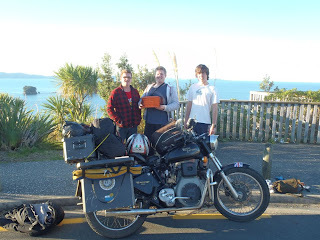 ", "Our father's ashes" came the reply, "he was born here and we are scattering his ashes but we forgot the spanner to undo the box". It turned into a farce as none of the numerous tools on Batty fitted either, so the Ian Frances Lowe's (1928-2012) return to nature had to wait another day. Part of me was relieved, as the wind was blowing inshore and I am sure to end up in a car park was not quite what Ian Lowe had in mind for eternity. 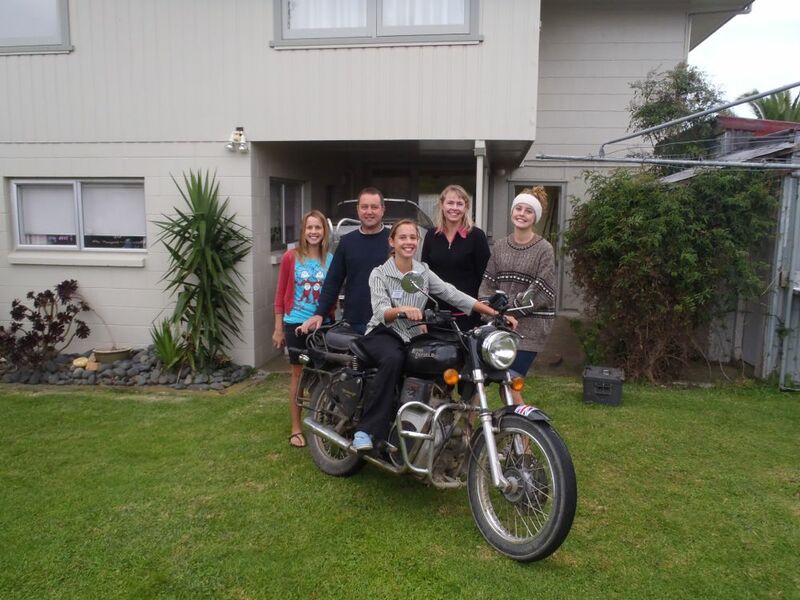 Ainsley, Rob, Debbie, Carly and Monica on the motorbike. I spent 2 nights with the delightful Harris family in Whitianga on the Coromandel Peninsula. Rob and Debbie are old friends of Rosie and Zed's. They said I would be welcome there and true enough a home from home. I would have to say New Zealand has the best motorcycling in the world for all-round, non-stop extraordinary roads in stunning countryside, however if time was limited and I had to vote for one place that is both accessible and stunning, it would have to be the Coromandel Peninsula. You know that you have been having fun when all the rubber on the tyres have been used and the foot pegs have had sparks flying off them as steep corners, made all the tighter with perfect cambers, keep you busy for hour after hour. Rubin, Olive, Peter and Alice. They sailed on a yacht to New Zealand, having sold up in London, this intrepid family now live in a North land idyll, selling their own Zippy ice creams and have a great knack of entertaining visiting Englishman. Even to the extent of duetting him on the ukelele. Here is a lovely picture of Lily. Lily is the daughter of dear friends in Somerset, and she is on a gap year sort of trip. The plan was to meet in Auckland and trying to be clever, I thought nothing could be better than lunch at the revolving top of the Sky City Tower that you see just to the right of her head. 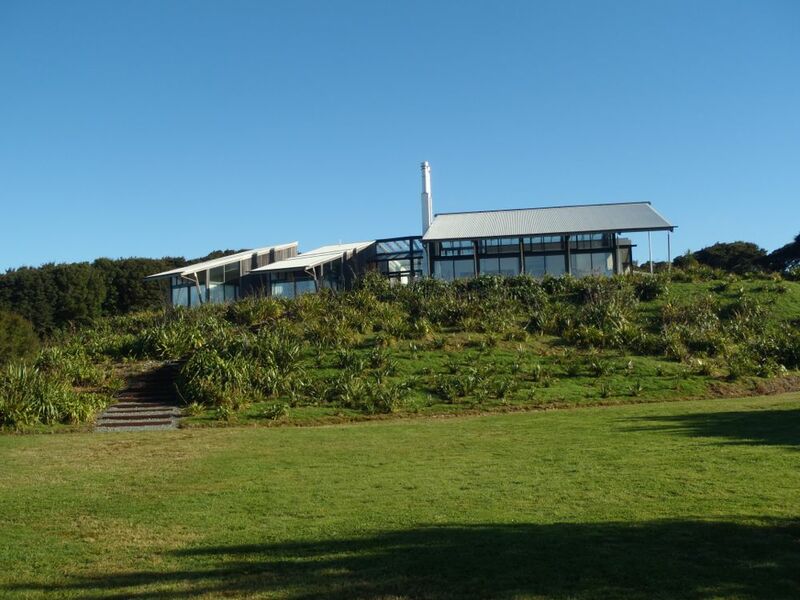 Not only would it offer a fantastic panorama of the city, the menu looked good and it would have nicely connected with the Gascoigne's house near Wellington. We met as planned and I couldn't help telling Lily where we were going as we approach the tower. Her excitement at the idea was clear to see and appeared to match my own. However as we went to the lift that hurls you up hundreds of metres, I completely lost my nerve much to Lily's bewilderment and my humbling horror. I was completely taken by surprise by this sudden terror, I had booked it the day before without a second thought, but I just froze. Looking back it was a stupid thing to have done, I had forgotten that heights can disabled me, and I had got swept away by the splendour of the idea. At least Lily went up and had a good look around before we found a comparatively dull waterside restaurant for lunch. Ironically had I had half bottle of wine before going to the tower, I am sure I would have made it. What a plonker. The day was rescued for me at least, by Lily's good company as we boated around Auckland's harbour. Love reading about your adventures! What a journey, sitting in a very rainy UK feeling a bit jealous! You were so right...I bet you end up there!! !